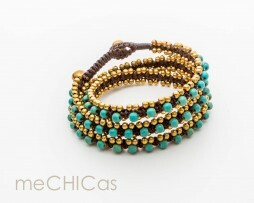 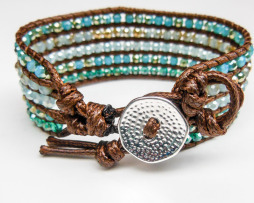 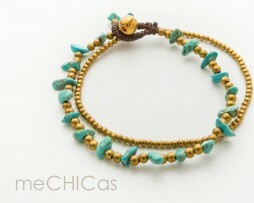 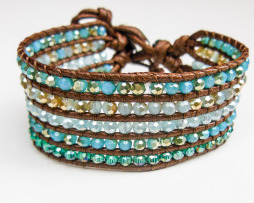 Triple wrap bracelet with brass and turquoise howlite beads. 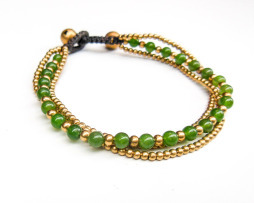 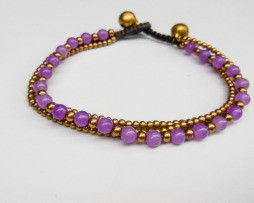 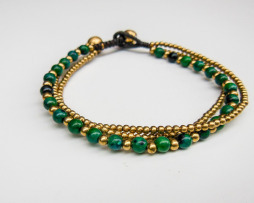 You can also wear this piece of jewelry as a double anklet or as a long necklace. 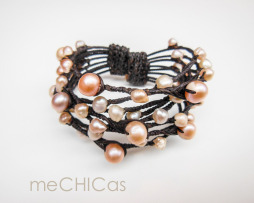 … multifunctional!!! 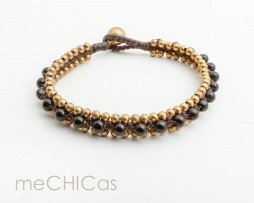 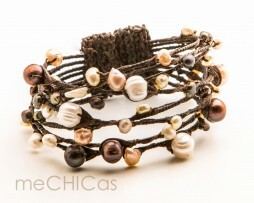 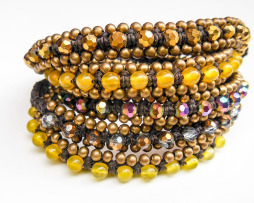 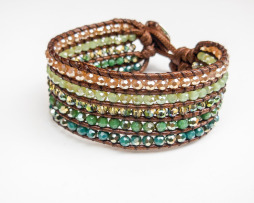 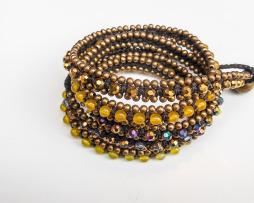 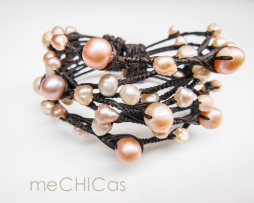 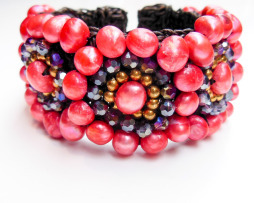 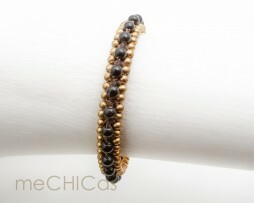 Quintuple wrap bracelet with brass and pearls. 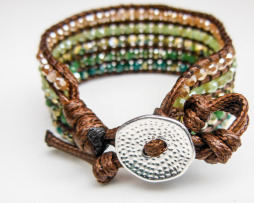 You can also wear this piece of jewelry as a belt … multifunctional!!! 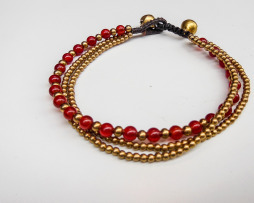 Bracelet with 3 strings; one with carnelian stones, two with brass beads. 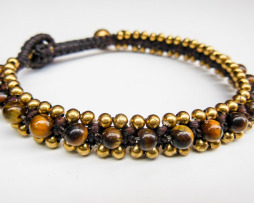 And two brass bells as closure ; 2 sizes to wear! 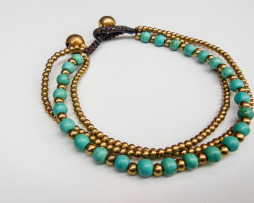 Bracelet with 3 strings; one with turquoise howlite stones, two with brass. 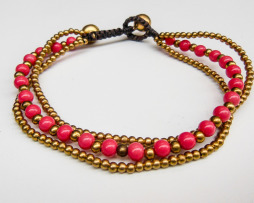 And two brass bells as closure ; 2 sizes to wear!